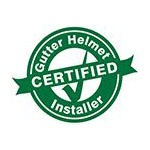 Gutter Helmet is one of the fastest growing exterior remodeling companies in the United States. With over 100,000 customers in 8 states and Washington, DC, our family owned business is building strong partnerships with communities across the country. Harry Helmet, located in Worthington, Ohio, has exclusive dealership rights to Gutter Helmet gutter guards in Central Ohio. Our local operation has a great deal to offer your home. Our mission is to provide dependable, high quality exterior remodeling products at prices that are as cost effective as possible. Our motto is that when you do business with us, we’re committed to you and your home for the long haul. Many of our products come with a manufacturer’s warranty, and all of them come with our lifetime guarantee on service. 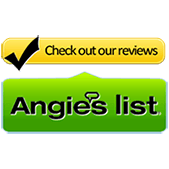 For over 30 years, we’ve been serving local area customers by providing Gutter Helmet and other home improvement products such as retractable awnings, replacement roofing, and seamless gutters. We are thoroughly entrenched in the communities that we serve, hiring only local employees and avoiding subcontractors. We also make a point to donate some of our company time and resources to local charities when we can. 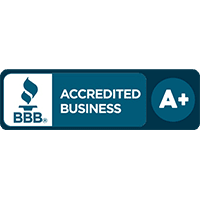 In order to better assist our customers, we are careful to maintain our government licenses, insurance plans, and membership in the Better Business Bureau in every area we serve. Despite our strong local presence in cities like Columbus, Westerville, Reynoldsburg, Hilliard, and Dublin, Ohio, we’re able to stand with the titans in the national home improvement industry. Our company has been twice recognized as one of America’s Fastest Growing Private Companies by Inc. Magazine. Even after the initial installation, our gutter protection products continue to deliver results year after year. Enjoy increased home values, reduced maintenance, and better peace of mind for a long time to come with Gutter Helmet by Harry Helmet. We look forward to working with you and your home—call us at (800) 824-3772 today or contact us through our online request form to set up your free consultation.